Dalzell Park, the good, the bad and the beautiful. 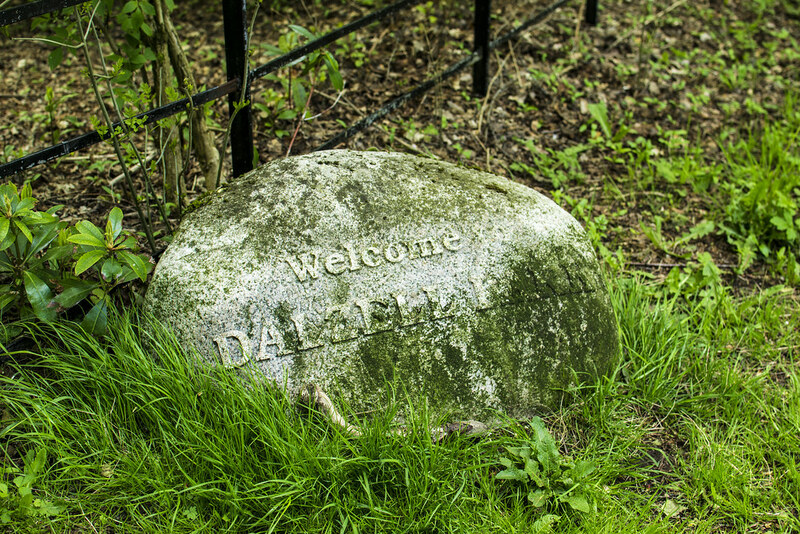 I recently had the chance to go on a guided walk around Dalzell Park in Motherwell. The walk was run by The Clyde and Avon Valley Landscape Partnership (CAVLP) as part of their spring walks festival. It was an excellent morning out with two very knowledgable guides from North Lanarkshire's Countryside Rangers. I really do wish I had taken better notes or recorded the information and stories told. I also wish I had taken more photographs but found it hard as I was too intent on listening and following someone else lead. However it did not take away from such a great time. I thoroughly enjoyed myself. Below are some of my highlights from around the park and hopefully I've got most of right. Now a private residence after being sold on by the council a few years ago so we didn't access to get a closer look at the court yard and the splendid terraced gardens. It's an A listed building and has had most if not all it's important heritage preserved. 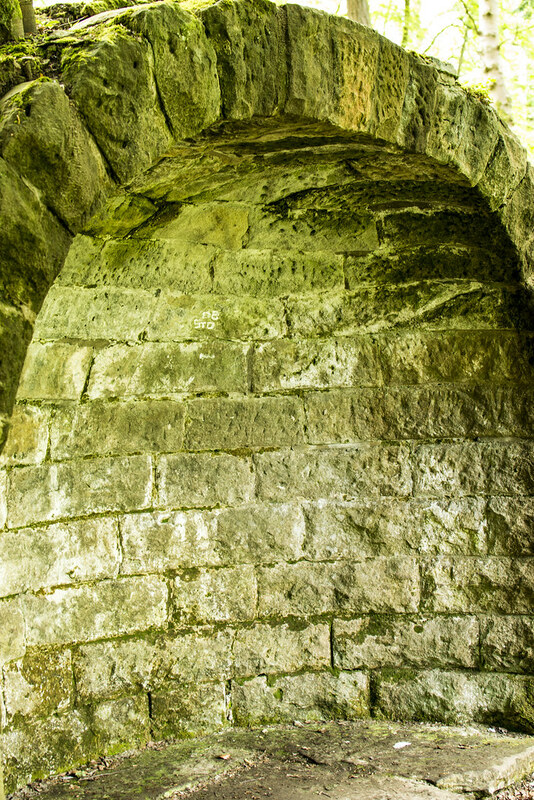 A castle or defensive structure has apparently been on the site since the 9th Century. What you see today is mix of construction phases. The oldest being the tower in the centre, this dates from the 14th/15th century. The next phase is to the right and was added in the late 17th century and the the final phase on left was added in the 18th century. It's been around and has seen many a distinguished guest, most notably Queen Victoria and Prince Albert as well as William Gladstone. 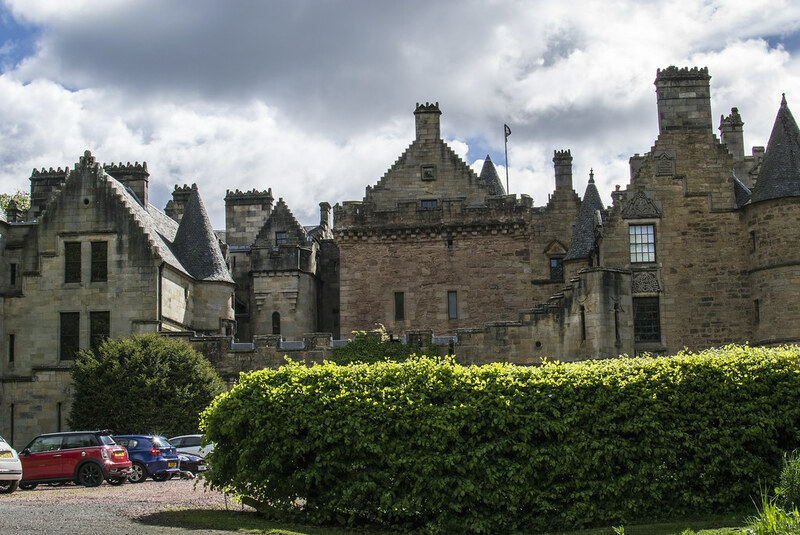 No proper castle is complete without a ghost story well Dalzell House is a bit spoiled for choice as it can boast no fewer than 3 ghosts. A green lady, a white lady and a grey lady. Hopefully I remember the right details for each ghost. The grey lady is supposed a nurse from when the house was a hospital during to after the First World War. The green lady is of oriental origins or descent as there whiff of oriental perfume when she's about. Finally the white ghost was a maid servant who got herself into trouble and rather than face the consequences threw herself off the tower. All that might make you think twice about living in one of the luxury apartments. Possibly the oldest living thing in North Lanarkshire. Supposedly planted by David I around 1450 and around the same time as the Cadzow oaks across the Clyde. It has seen better days and despite appearances is still going strong. It's been braced and supported to keep it going hopefully for another 500 years. 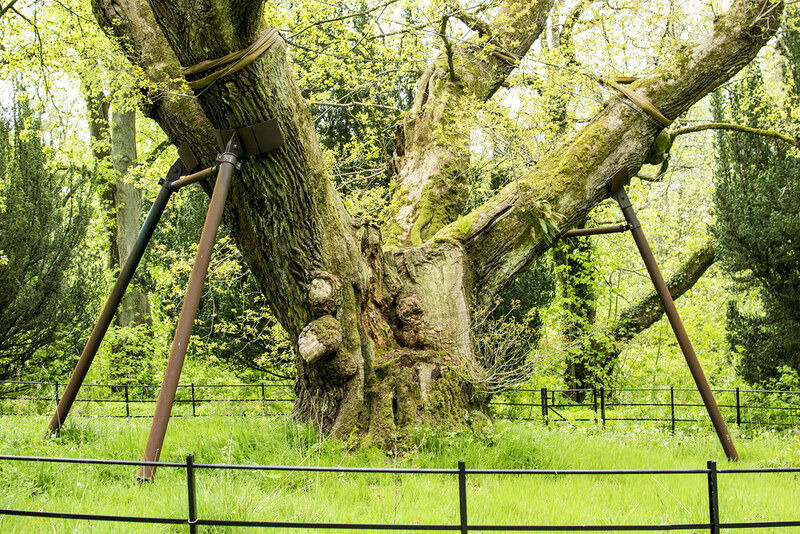 There's a couple of different stories about the Covenanters, they either carried out sermons under great tree or sheltered below it. Either way the Hamiltons of Dalzell at that time were supporters of the cause and ended up losing a lot of their lands because of it. Probably one of my favourite things in Dalzell Park just for it's sheer majesty. I'll admit to being a big ignorant here. I thought and arboretum was a fancy greenhouse of sorts, oh how wrong was I. However as they say, you learn something new everyday. Well this was my new thing. An arboretum is basically a collection of trees. Yep, you're not going to fit them in a greenhouse. This on in Dalzell Park has North American Sequoias, including one that they have managed to germinate from a cone using an oven. As Sequoias need raging forest fire to let their seeds drop. It also has many Yew trees more than I've seen in one garden. Maybe they were planting with zombie apocalypse in mind. Not just Scottish Yews either, they have specimens from all over the world. This is where it gets fuzzy with the tree stuff as the only other one I can remember is the Weeping Willow but there is lots of other trees. I promise. If trees are your thing go have a look. Again I hope I get this correct on part of Dalzell Park, the Countryside Rangers and Phoenix Futures have been working on a project called Recovery through Nature. It's all about helping people get rehabilitated and back on a even keel by helping out on nature projects. At Dalzell Park they've been working on clearing away rhododendron bushes and restoring some of the vistas the park had originally when the gardens were laid out. They also been involved in planting through out the park. Replacing trees and the like. Really worthwhile and great to hear about. The first christian site in Motherwell and home to the Hamiltons of Dalzell pet cemetery and mausoleum. The church no longer stands having fell into disrepair and ruin after being abandoned in the late 1700s. 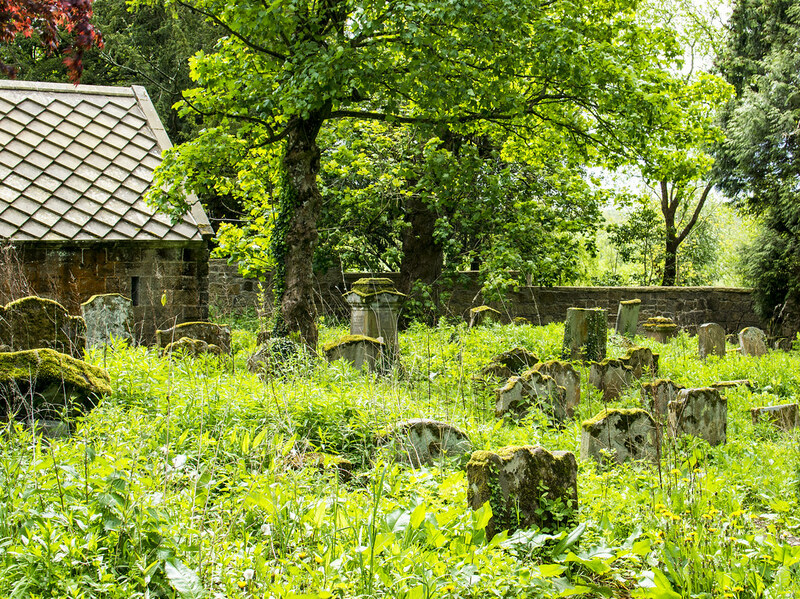 The graveyard however was used for many years after the church was left. The Hamiltons used the stone work from the ruined church for the mausoleum. Compared to the one down at the old palace grounds and Lord Belhaven's just south along the Clyde this one is really understated. Bordering on the modest. There's been a lot of work carried out here by North Lanarkshire Council, CAVLP and the Phoenix Futures group to stabilise and rebuild the cemetery walls as well as protecting the mausoleum from vandalism. Next on the list is the graves and the yard themselves. Cleaning it up and fixing any headstones that can be. Also recording the names of those interred there for a local history project. Built for Lord Gavin Hamilton as a summer house it used to have a brilliant bright copper dome to crown it off. It allowed him to spend his time reading and smoking his cigars while watch over his wife's grave down at the family mausoleum. He was either being very romantic or very scared that she would come back from the dead. Personally I hope he was being romantic. This has been moved two or three times. 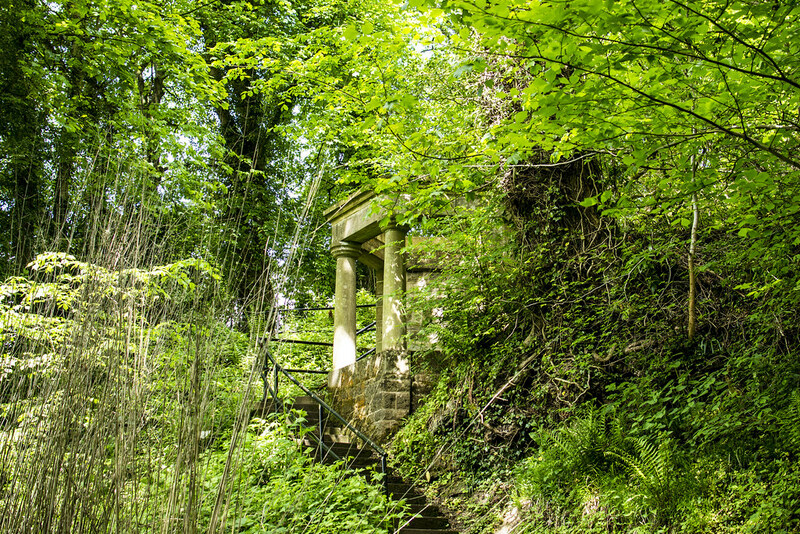 One of the original places was down between St Patrick's well and Lord Gavin's Temple. You can still see some of the traces there. The current Japanese garden has new pagodas. Not sure that's the proper term. It's been laid out to match the Buddha temple at Nagasaki. Well one of them was, not sure if it's the current one or the original one. 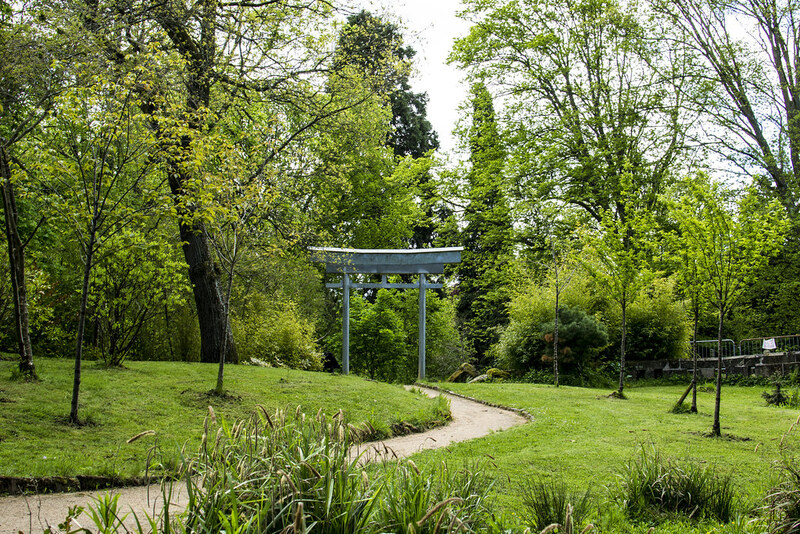 It's full of oriental planting, Japanese Maples and rock gardens. It's a really tranquil and beautiful place to wander round. In full bloom I think it will be stunning. All in all it was a great morning's walk. Full of information and wonder. If I get the chance and have the time I would definitely go on another guided walk and take better notes and more photographs! You can look at the full set of photographs here on Flickr, Dalzell Park Photo Album. If you have any questions, as always leave a comment below. Get me over on Twitter or you can send me an email through the contact me page.